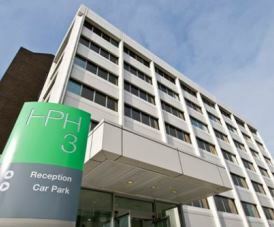 Millington Road Business Centre is in a prime location for Heathrow Airport, the M4 motorway and Hayes and Harlington train station. With direct access into London, these offices are also a short distance away from the underground network system. The building has a good selection of office rentals to offer, all of which are available in all types of sizes and configurations. High-speed internet pre-installed within all the suites with a choice of either dedicated or shared bandwidth. Furniture is also included in the monthly cost. With an assortment of amenities within, this office space has access to meeting room facilities and communal lounge areas in the property. There is a restaurant and café onsite that is handy for quick lunch breaks or the use of kitchen facilities is available if required. Security systems are in place and shower cubicles are at the location.